Got a closet full of t-shirts just collecting dust? 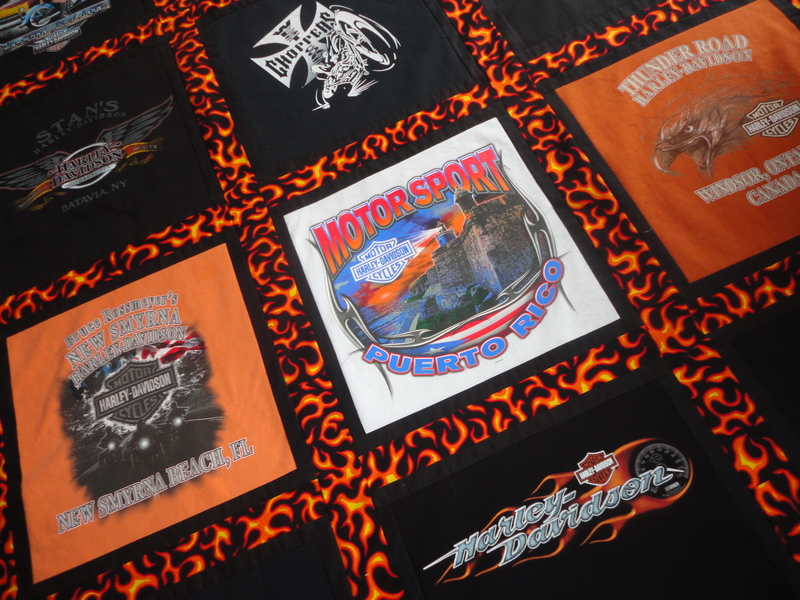 Send them to us and we’ll make a special memory quilt for you! 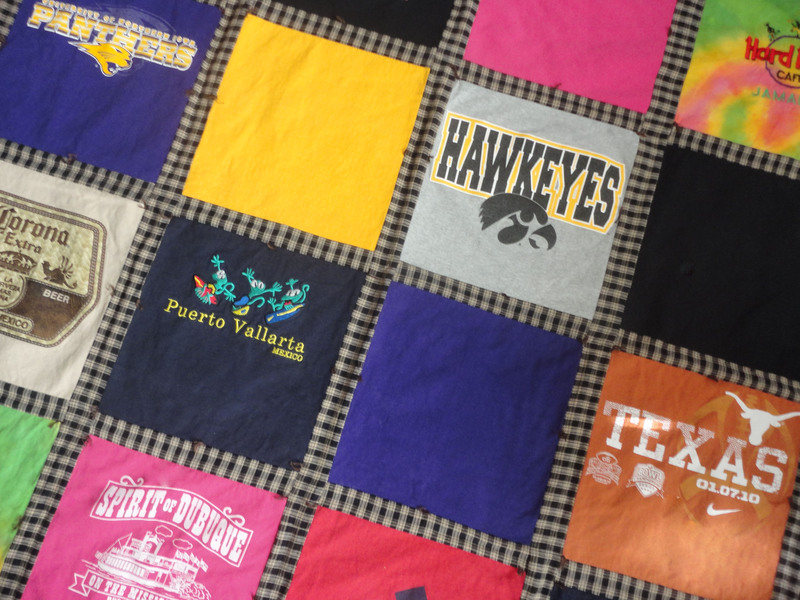 Made with cotton batting and fleece backing, but best of all.. your most memorable t-shirts that are sure to keep you warm and warm at heart. 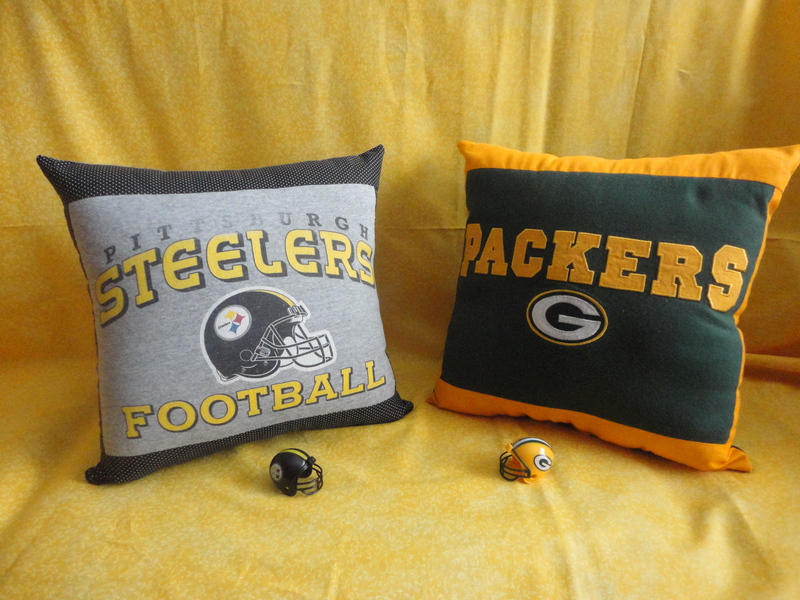 So visit our shop at Etsy https://www.etsy.com/shop/ConniesKeepsakeCafe?ref=hdr_shop_menu And declutter your closets! 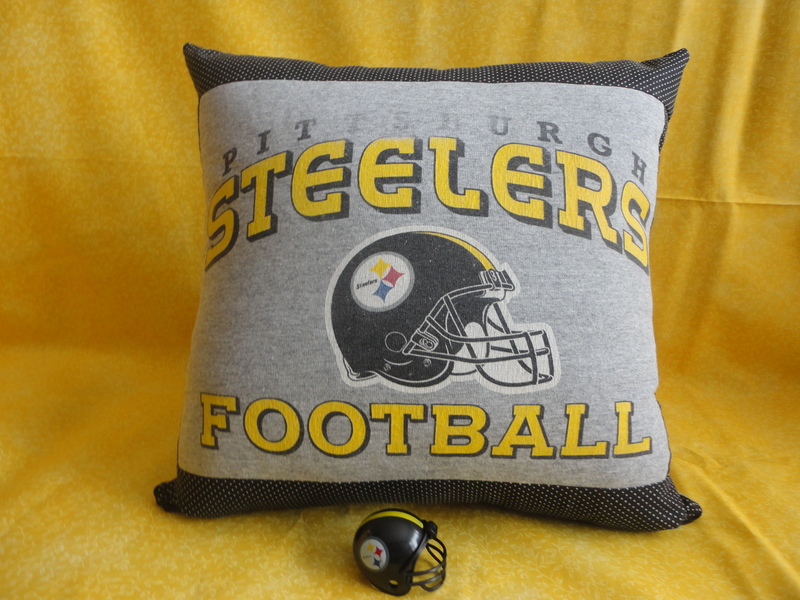 Let us create a lasting memory that will compliment your home decor while adding life to an old t-shirt your just can’t part with. 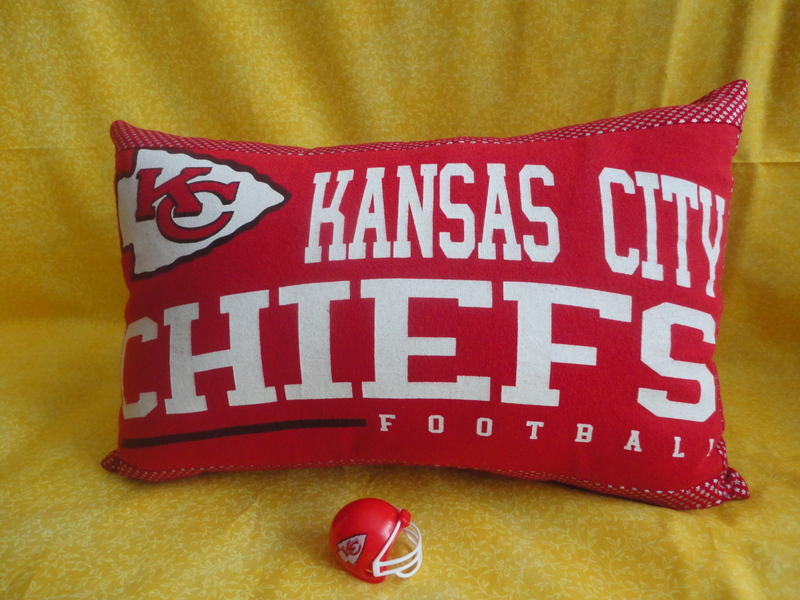 Send us your favorite teams t-shirt and we will make a decorative t-shirt pillow that you’ll be proud to display in your home. May is bike awareness month. Every year, thousands are injured in accidents. 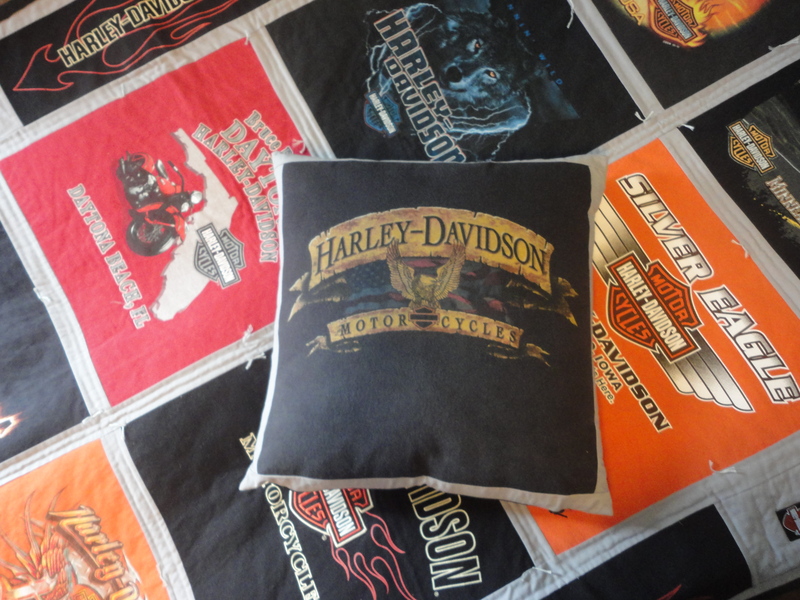 In 2012, there were 8.5 million motor cycles on the road in the U.S. and 4,986 deaths according to National Highway Traffic Safety Administration. Although that number declined to 4,668 in 2013, any fatality is too many. So please be mindful of those on bikes not only in May but every month. 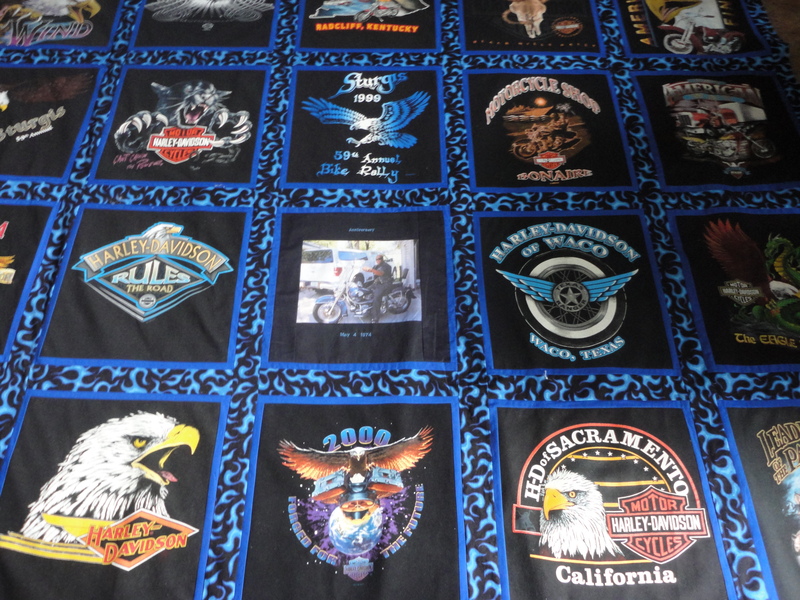 I am offering 20% off of our t-shirt quilts for the month of May and June with Bike awareness month in mind. 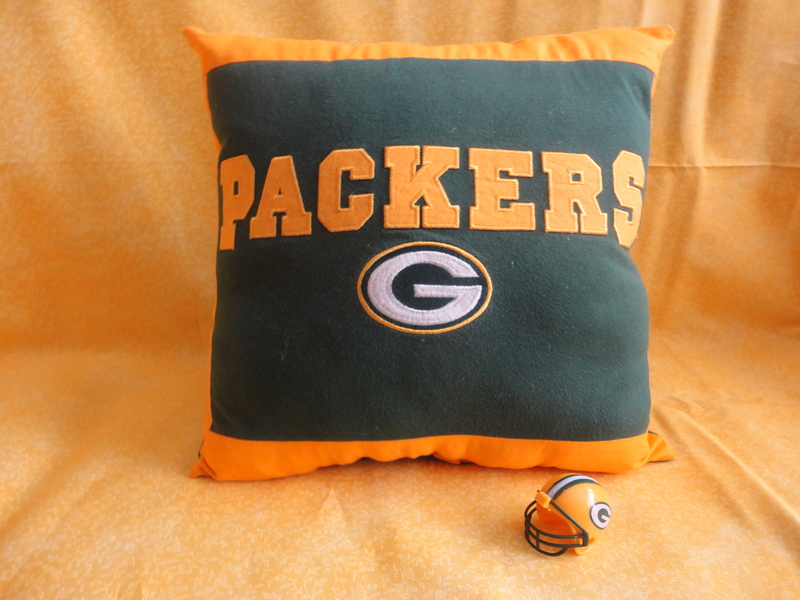 Check out My Etsy shop and convo me for details. Quilts That Bring Comfort To Those Suffering From Memory Loss. We don’t often think of or even appreciate the beautiful gift we have; the ability to call back to mind the special times in our lives. Perhaps your wedding day or the day your child/children were born. As a mother, I can remember the exact time to the minute that my son and daughter were born. Every detail to the fraction of ounce and fraction of inch for their weight and measurements without having to look it up in a baby book. That doesn’t make me special. Most mothers can remember every detail. The Mind is an amazing thing! Now imagine that wonderful gift, slipping away from you and no matter how hard you try, you can’t call back to your mind those special events that make your life so meaningful. For millions, including my dear mother, this is a reality and the effects are devastating! Not only do they the lack of ability to recall things, they also suffer the feelings of worthlessness, loss of dignity, they feel hopeless and all of this can lead to severe depression, among other things. About 3 years ago, I was “thinking out loud” (big mistake) in front of my mother, asking a thoughtless question. “what year was my middle sister Debbie born?” I couldn’t remember if it was 1964 or 1965. What seemed like an innocent question, haunted her the remainder of the day. No matter how much I tried to change the subject, she struggled, trying to remember. And I struggled all day trying to hold back the tears. That incident taught me how important it was to assist her with coming up with an answer, so she did not feel worthless. 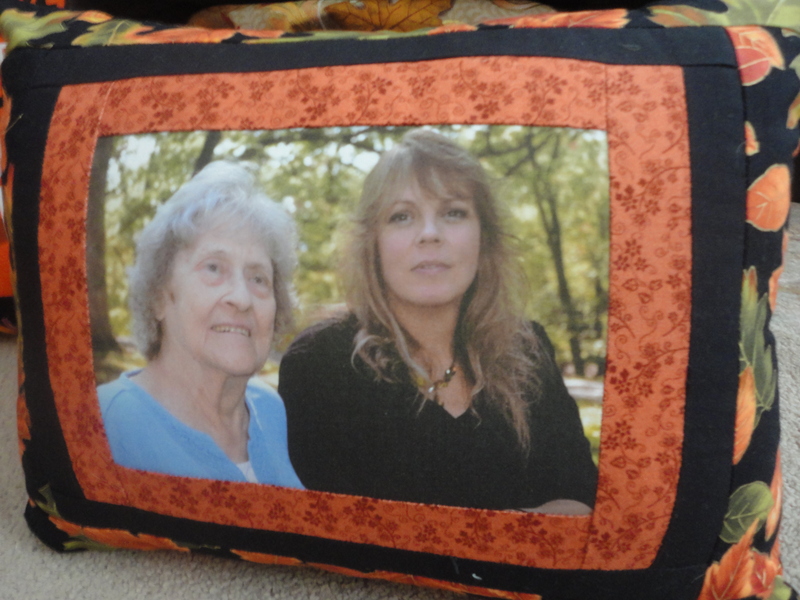 I admired a beautiful photo quilt (made by my sister’s friend) and how it brought comfort to my father during his final days. It was then that I realized how much it meant for those who are suffering to cling onto something with their fondest memories and see everyone they love on it. This inspired me to start creating photo memory quilts. The combination of all your favorite photos and a quilt that one can cuddle and keep warm has proved to bring comfort to those suffering from many ailments. 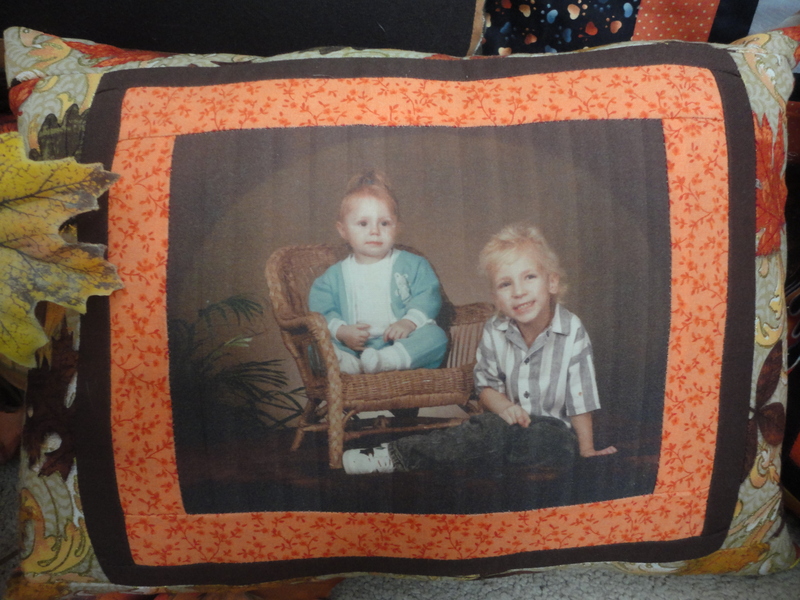 The photo quilt below was created as a result of me asking about the year my sister was born. I made this for my mother. It has her favorite pictures of my sisters and I. Our names and date of birth under each of our pictures. Since we all were born in the winter time, the panel in the middle says “winter blessings”. 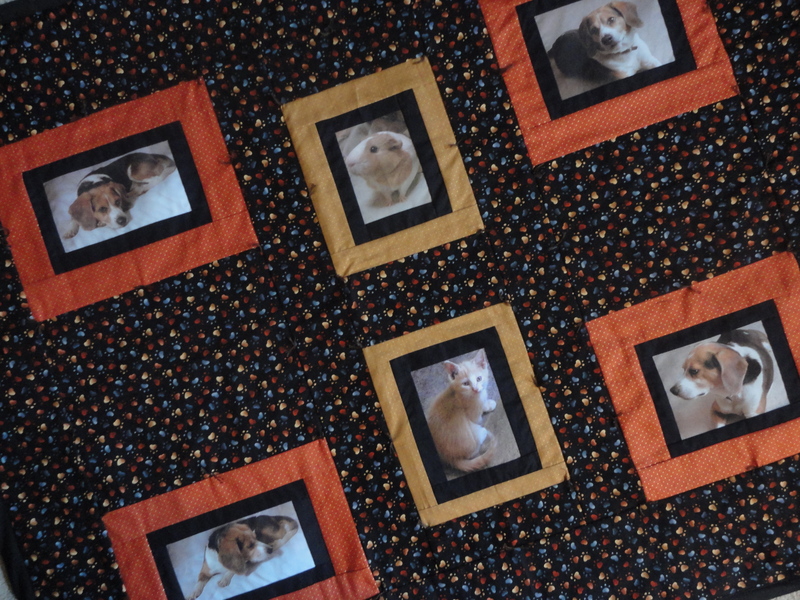 Photo Quilts really do help bring comfort to those suffering from memory loss and that is what Connie’s Keepsake Cafe is all about. 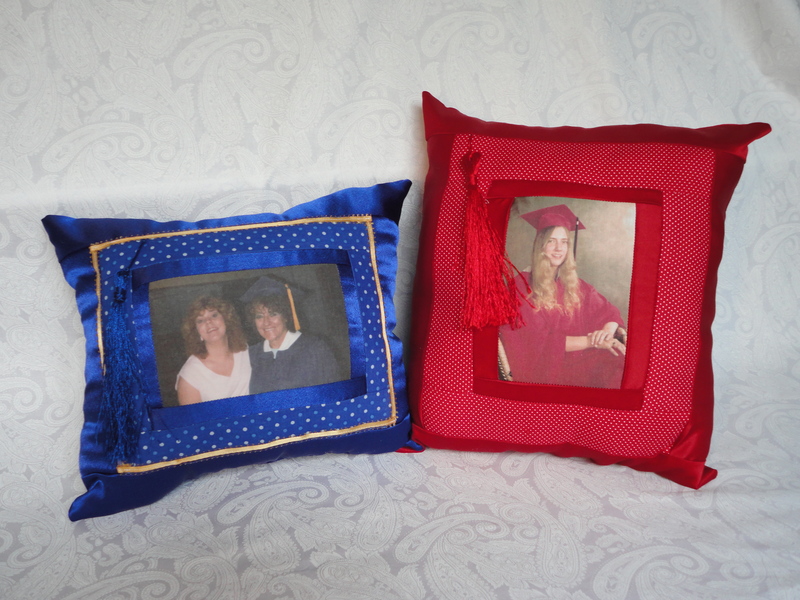 Preserving your most cherished memories with style.